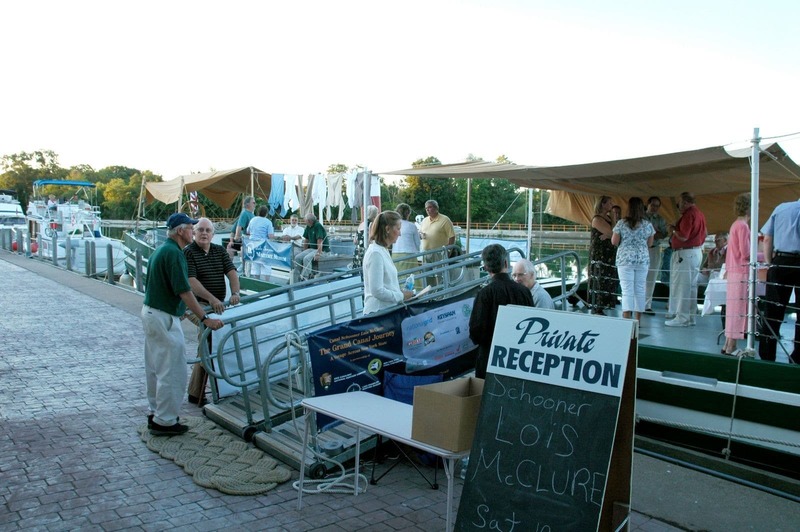 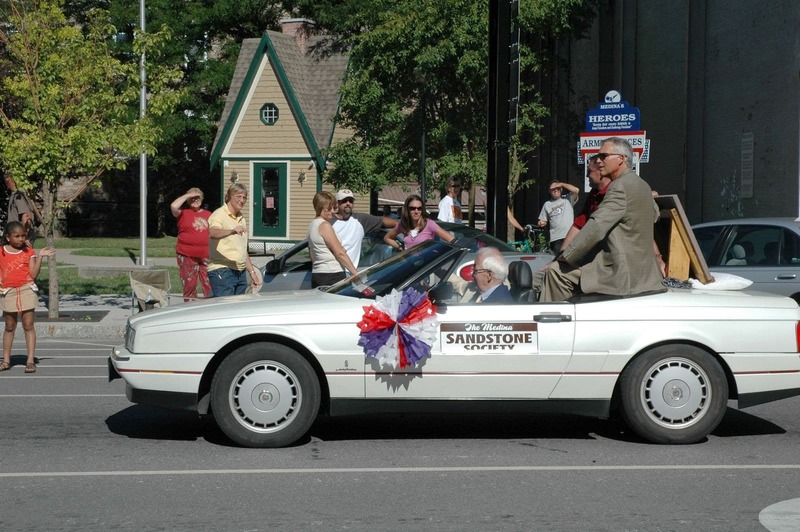 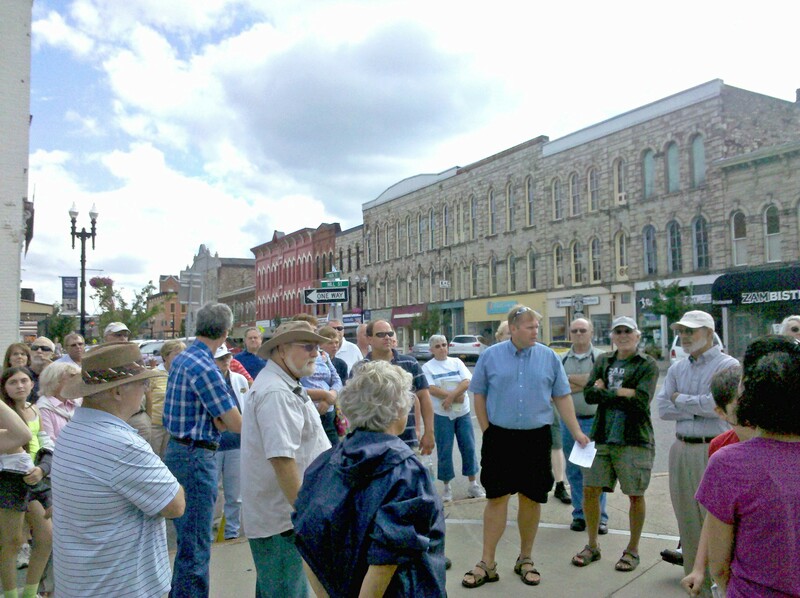 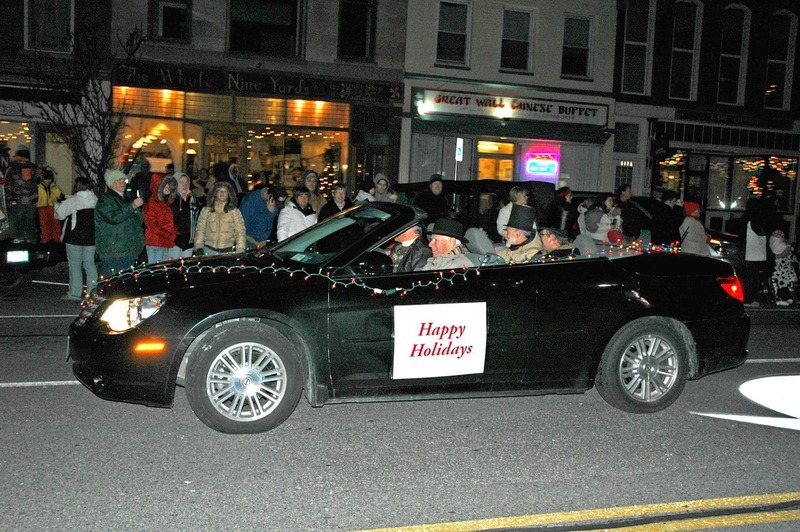 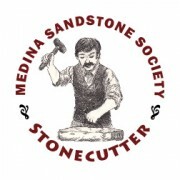 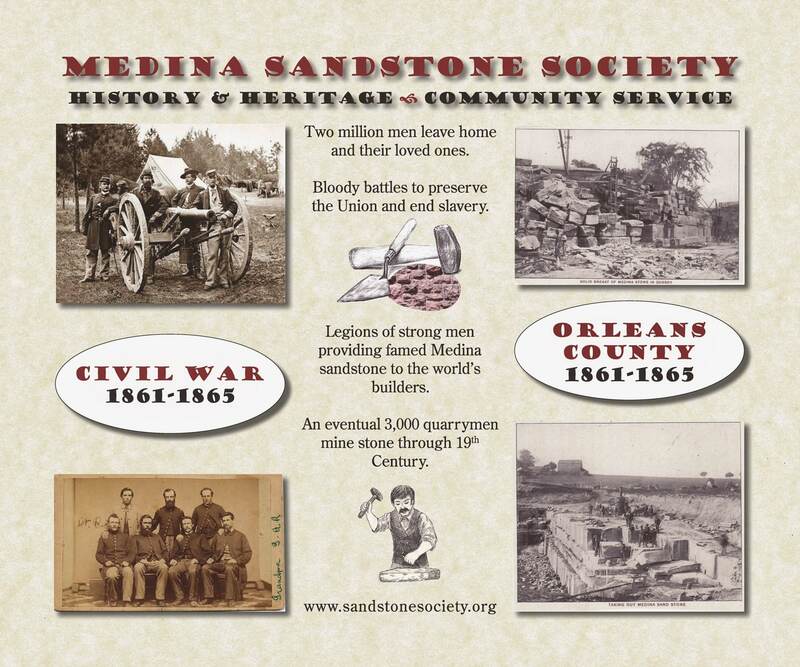 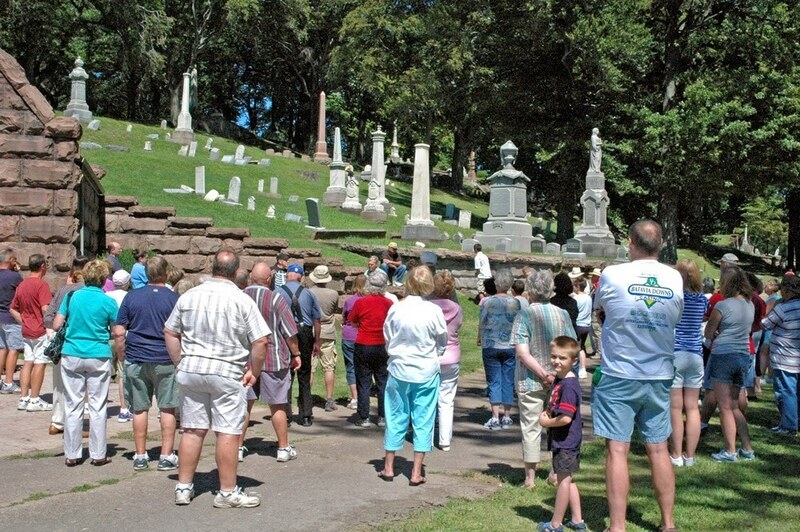 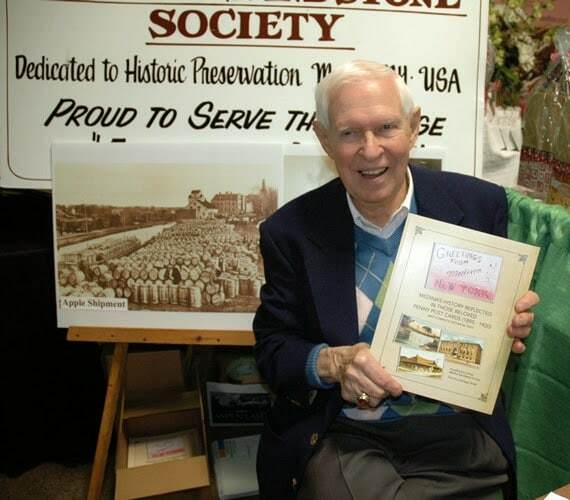 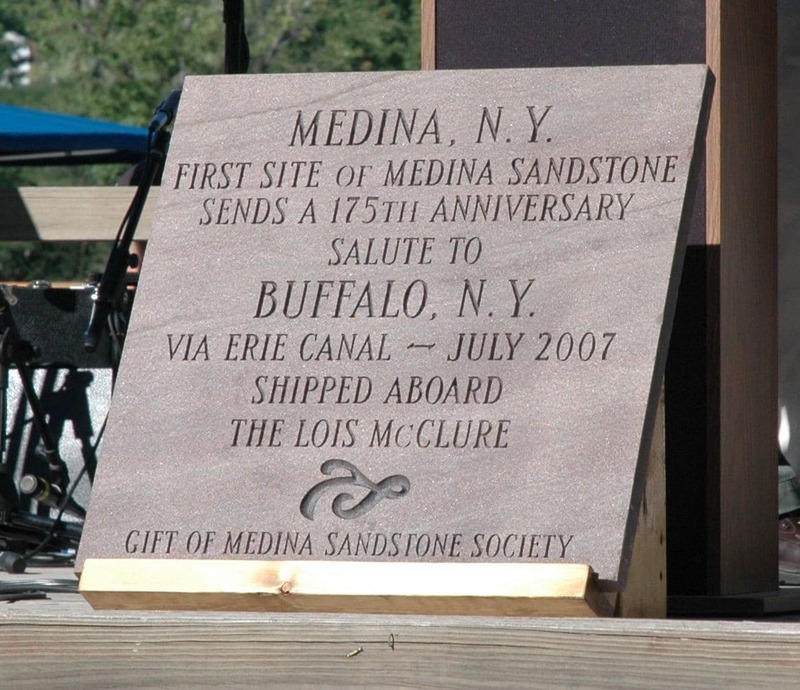 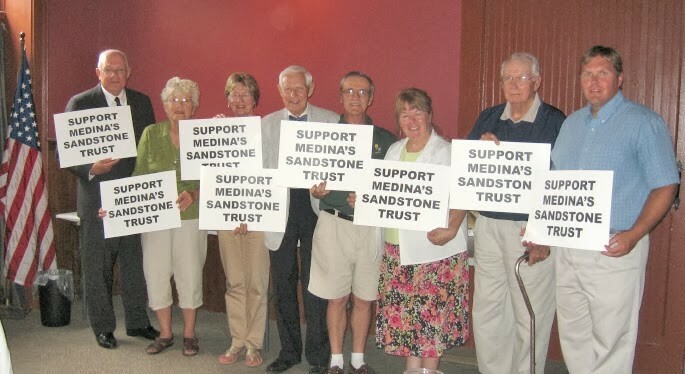 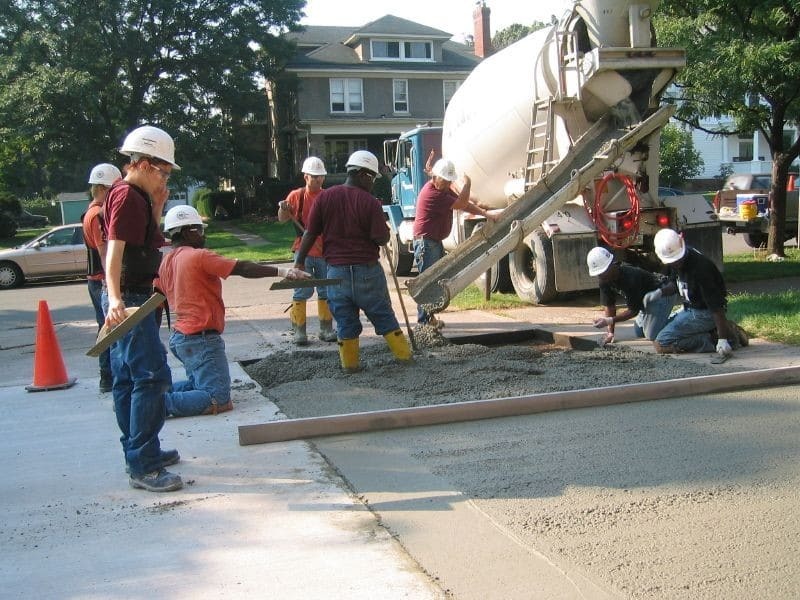 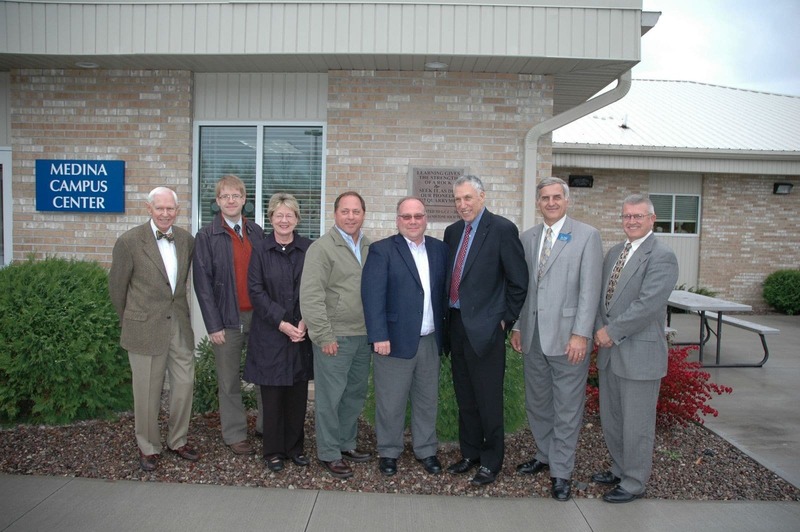 Since our founding in 2004, the Medina Sandstone Society has worked to develop our organization with loyalty and pride for our hometown of Medina, NY. 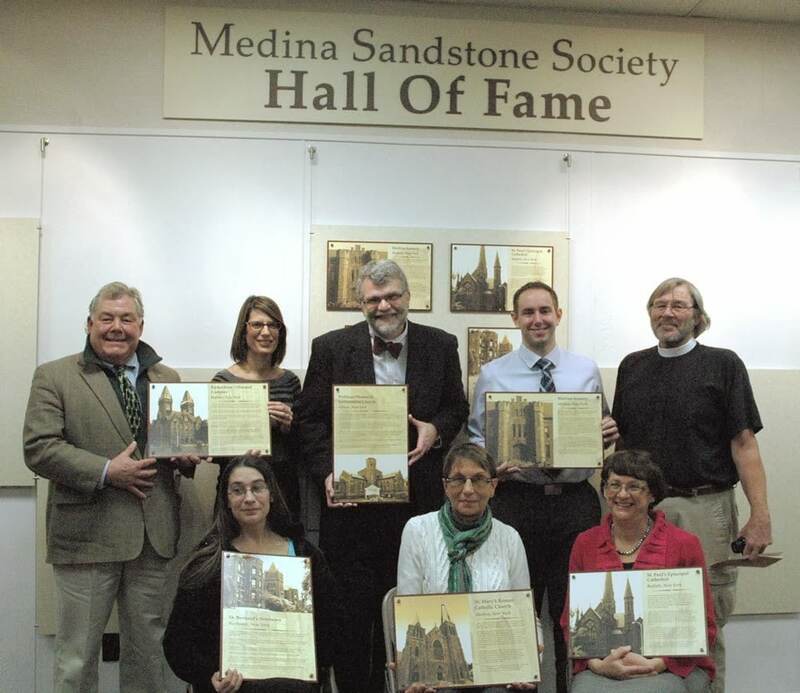 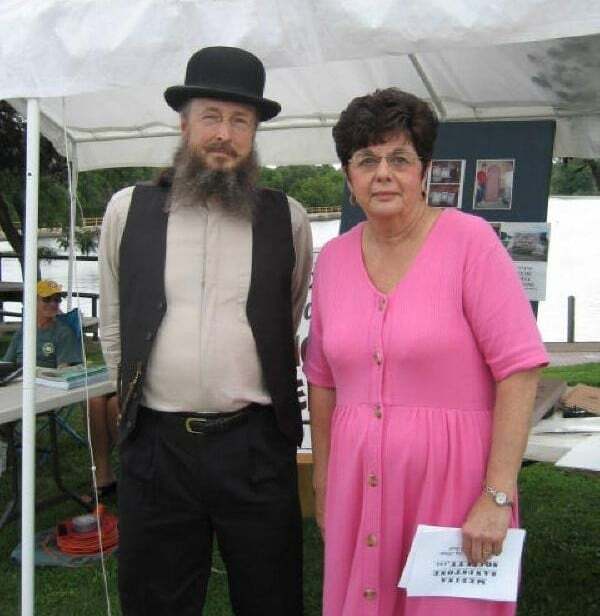 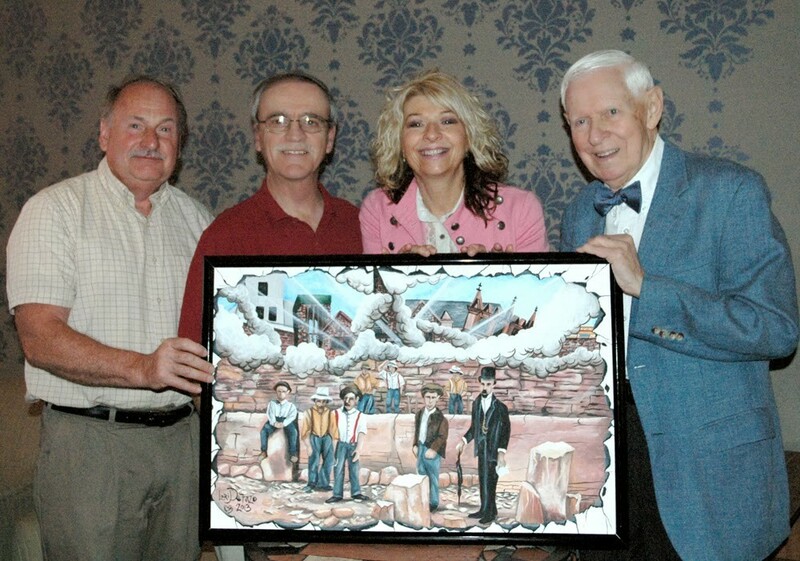 Received a GO Art Community Arts Award in 2012 for fostering an appreciation of history, culture and preservation by embracing sandstone, a natural resource, as the “cornerstone” of the culture of Medina. 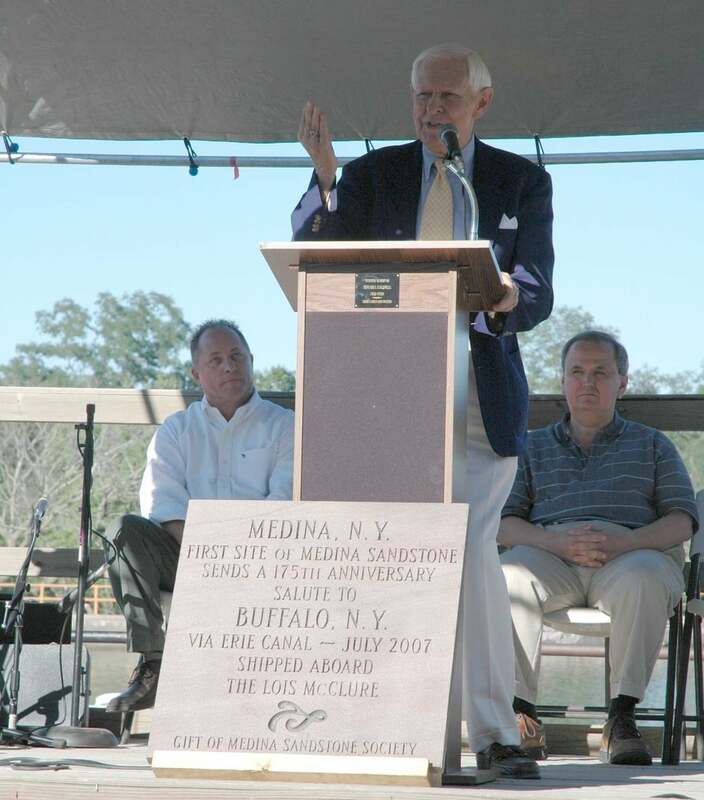 Chairman Bob Waters dedicating Medina Sandstone tablet to the City of Buffalo as Assemblyman Hawley and Senator Maziarz look on. 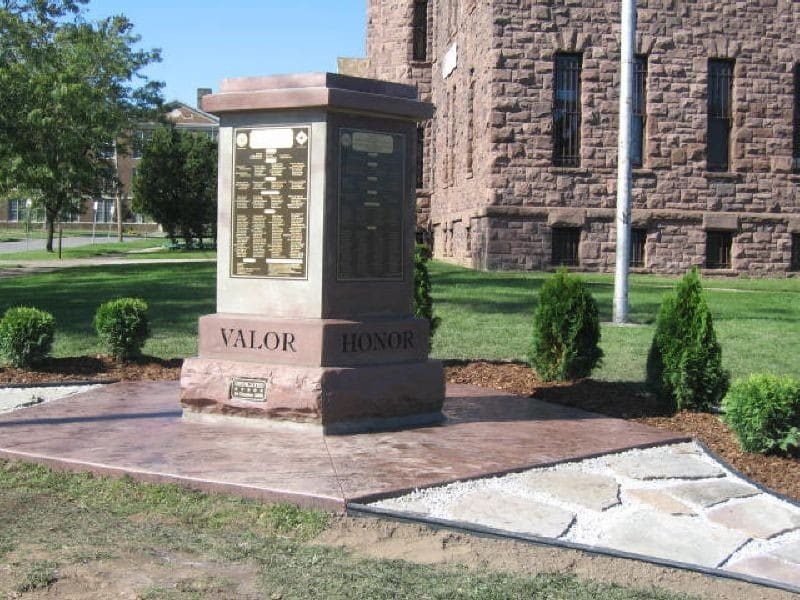 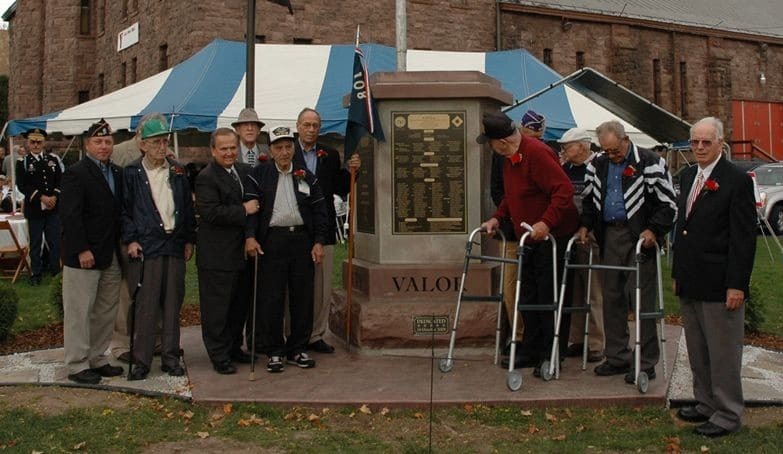 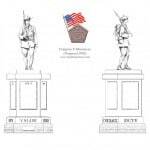 The Company F Monument built of Medina Sandstone was erected in 2008 to honor the courageous soldiers who trained at the Medina Armory 1898-1977. 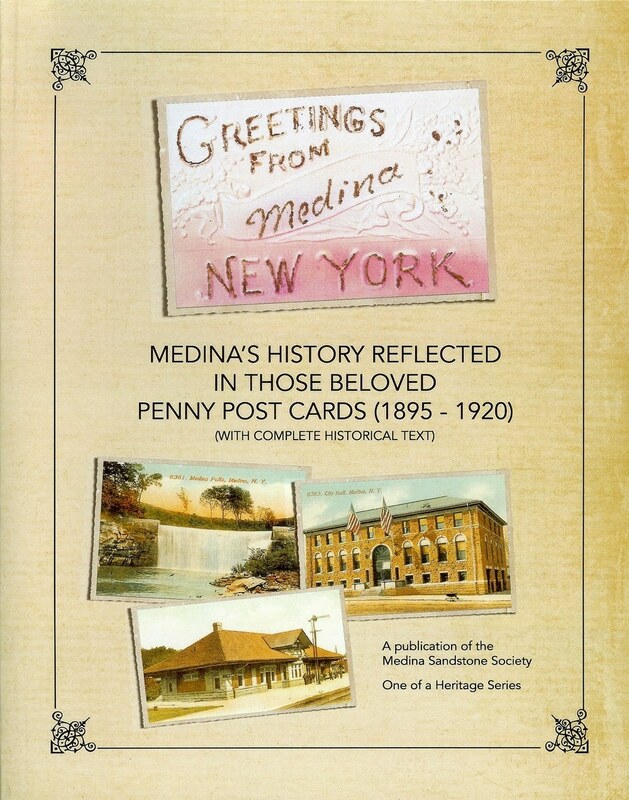 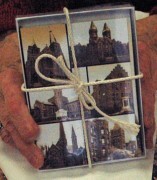 Visit our Gift Shop to order this publication!